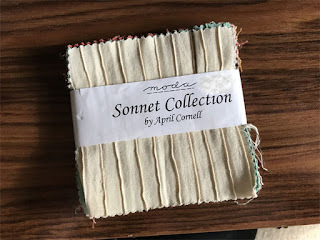 I got three of these charm square sets at a sale at Patchwork With Gail B. 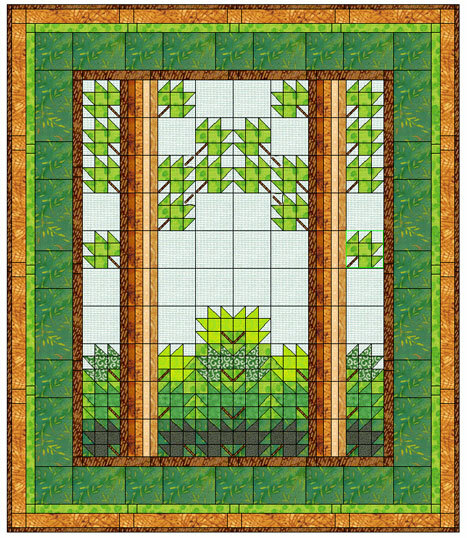 There were only 25 squares in each pack, so I needed all three (plus fabric for borders) to make a single quilt top. The top 4 squares are solid fabric sewn into little pleats, giving a textured effect. The rest of the squares were various stripes and plaid prints in chocolate, melon, olive green and turquoise. 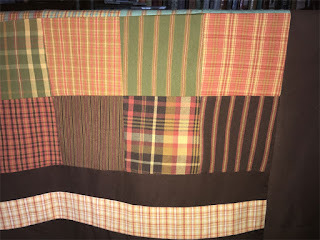 Quite a few of the squares weren't cut strait, so the plaids and stripes are off a little bit. Fortunately the slightly "not quite right" squares don't stand out - your eye fools you a bit when you look at the completed top. In the photo above, it's obvious. But when you look at quilt overall, they fade into the design. 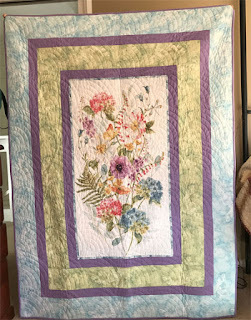 The center panel has a splash of summer blossoms on it, with a butterfly and dragonfly near the top. 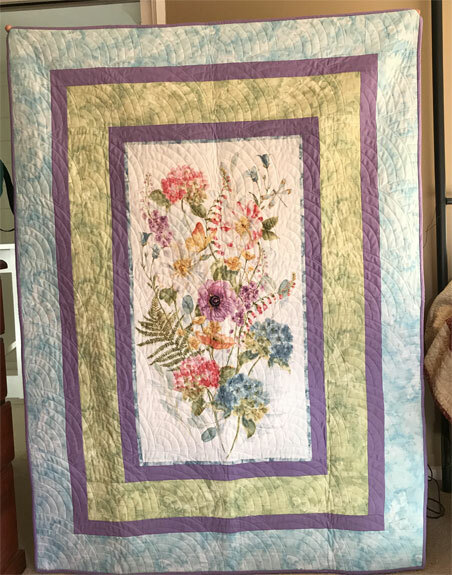 I simply added borders of solid lavender cotton and two coordinating prints (blue and green) from the same manufacturer that sells the panel. 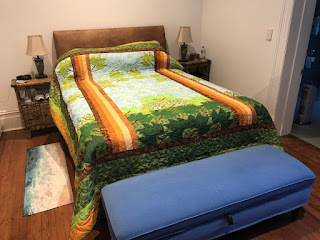 The quilting was done using my "Baptist Fan" groovy boards. The backing fabric is a pink-polka dot print, and the binding is the same lavender cotton used in the smaller borders. She really got me laughing when she said "I can say one thing with certainty — it's tricky." She challenged other quilters to come up with star blocks to be combined with hers into a quilt which she intended to complete and present at the 40th anniversary International Quilt Festival in Houston in 2014. And did it happen? It sure did! 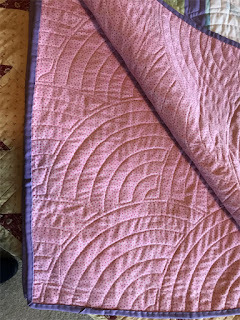 Pauline, my quilting guru, is an avid follower of "Jenny" from Missouri Star Quilt Company. Today she told me about a tutorial that Jenny did last Wednesday. Jenny's latest is a quilt design she calls "North Star" - and oh, my... it's fascinating. 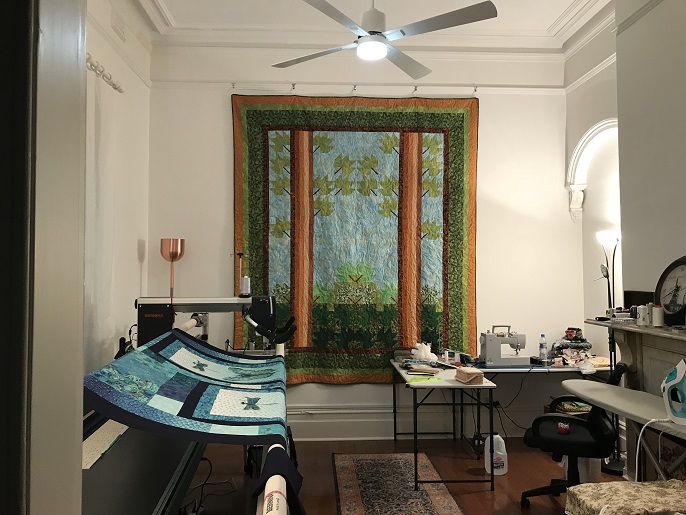 If you do a Google search for "North Star Quilt", you'll find quite a few different designs under that name - but unless Jenny's tutorial comes up in the search results, you won't see her version. Her's is a very distinctive quilt with a 3D effect. 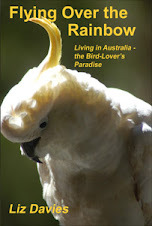 I don't have a photo of my own I can share (yet), but the link below will take you to Jenny's tutorial on YouTube. See Jenny's "North Star" Tutorial. And am I going to make one of these? You betcha, baby!